Previously, I told you about an event while a couple of my adopted grandchildren stayed at my home for a few days. Their stay involved a lot of fun but did include an unexpected situation where my cell phone was taken from me from off of the nightstand that was next to me as I slept at night. After a phone call to the adoptive parents it was decided there should be some form of discipline carried out by Grandma since it was her phone. I, needless to say, got no more sleep that night. I mulled things over in my mind and mulled things over in my mind trying to understand what would be best for my grandchild. I suggested that maybe we need to work hard so that we are really physically tired enabling us to sleep through the night without wanting to awake and get into trouble. We accomplished many household tasks that day TOGETHER, including getting down on our hands and knees to scrub the kitchen floor. As I reflect now, I know that what I was using for punishment for this grandchild was normal activity for me growing up. I remember scrubbing floors for my wheelchair confined grandmother, not as punishment but because it needed doing, I was there, and I could do it. Although my grandmother couldn’t get down on the floor and scrub with me I felt we were doing it together. As I scrubbed she told me stories of my father when he was a young boy and little funny things about her and my grandfather when they were younger. I always want to have just “fun times” with my grandchildren, but am I robbing them of something else that is just as important. I see now that it is o.k. to expect my grandchildren to help. Working together is a great time to bond. The work gets done much faster and the lively chatter makes chores almost fun. 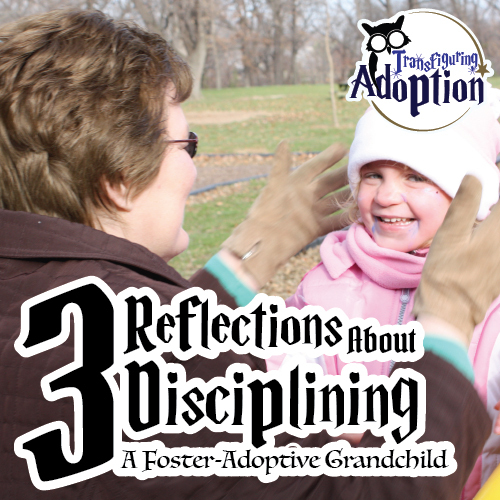 I probably learned more from “punishing” my grandchild than my grandchild learned from it. I didn’t fix my grandchild or the bad behavior but hopefully I was able to share that wonderful feeling of “helping” rather than “hurting” oneself or others. Have you ever been in a similar situation? What did you learn? 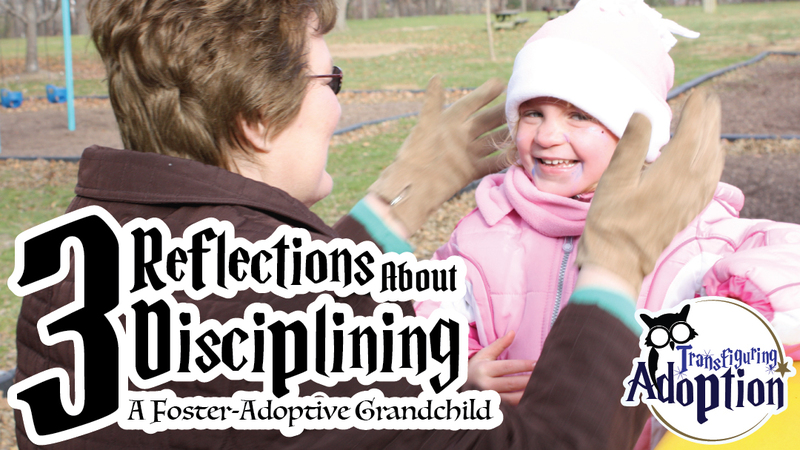 What are ways you have learned to discipline a grandchild? Are there great bonding activities you would suggest to other grandparents?